The Microsoft Surface Pro 3/Pro 4 Car Charger is easy to fit and remove. It is made from tinned copper and has high charging speed. It has electromagnetic immunity and offers short circuit protection/over-voltage protection/over-voltage protection. It is of high quality and one of the best Microsoft Surface Pro 3/pro 4 accessories. Compatible with Microsoft Surface Pro 3 / Pro 4 Intel i5 i7 Core. I/C Chip technology prevents your tablet's battery overcharging. It is convenient for you to charge for your tablet when you are in travel. Specially design for Microsoft Surface Pro 3 / Pro 4 Intel i5 i7 Core - Do Not fit Surface Pro 4 Intel M3 Core. 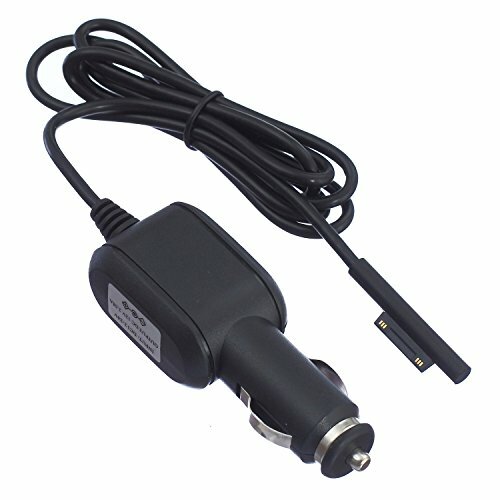 Note:this car charger does not design with usb charge port. If you have any questions about this product by XINGAN, contact us by completing and submitting the form below. If you are looking for a specif part number, please include it with your message.